Put the finishing touch on that new roof installation, or preserve the integrity of your roof and your home with a RoofHeat STEP low-voltage deicing system by Warmzone. 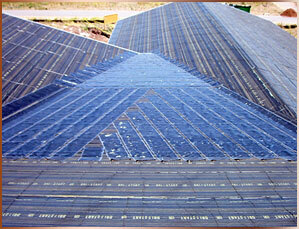 It is a top-of-the-line radiant heat system that is a good fit for you roof, and your budget. Paired with an existing or new gutter ice melting system, you will benefit this winter from the convenience and peace of mind that comes with a complete roof deicing solution. A transformer is an individual control unit responsible for a specific section of the deicing system, and can step down from high voltage to low voltage (60V or less). It is the source for monitoring the power and output to the system heat cables to ensure safe, accurate performance of your radiant roof heating and deicing system. Thin, semi-conductive polymer RoofHeat heating elements can be easily cut to size and discreetly nailed or stapled under shingles for a quick and easy installation. The heating element is polypropylene fused during fabrication for water proofing and protection from alkaline or salt damage. When temperature and precipitation indicate snow, the activation device/snow sensor triggers the control panel. The control panel then sends power to the heating element to activate the RoofHeat STEP deicing system and heat your roof. 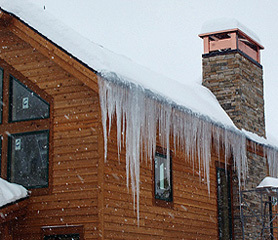 RoofHeat STEP deicing systems are a wise home improvement investment. 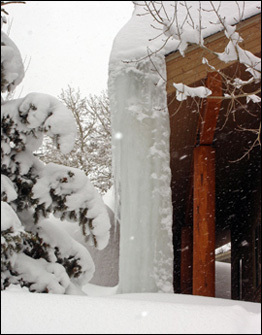 It protects your home from the harmful effects of moisture caused by ice damming—moisture that can seep into roof decking, and eventually into your home. And it is fully automated—simply set the power unit and forget it. No more precarious perching on a ladder or slippery roof with a rake or push broom. 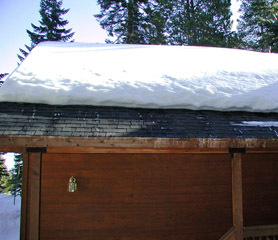 Once the system is activated, the roof warms to efficiently prevent snow from accumulating and protects your roof from ice and water damage. Available in 4, 6, 9 and 12 inch widths; RoofHeat heating elements can be cut and customized for just about any application. In fact, installing a Warmzone radiant heat roof deicing system is quite easy compared to competitive radiant heat systems. If you can swing a hammer or use a staple gun, you can install a RoofHeat heating element. The low-voltage heating element comes in a durable vinyl enclosure and can be easily nailed, stapled, or attached with fasteners or screws under a variety of roofing materials, including metal. Whether you’re a do-it-yourselfer or hiring a professional roofer, at some point you will require the assistance of an experienced electrician. The good news is that the average electrical professional will find the entire installation process quite intuitive; and Warmzone has the components, professionals and online resources to help you every step of the way. Call 888-488-9276 or visit us online at www.warmzone.com to start planning your radiant roof heating system. Just Like Your Favorite Hot Drink on a Cold Day, A Heated Driveway Will Quickly Become Something You Love! 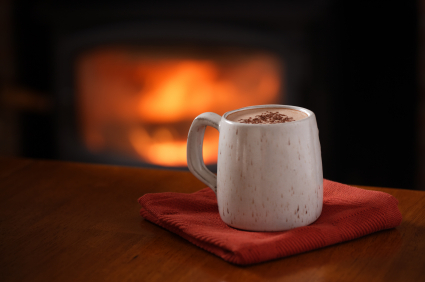 Starbucks™ has made the shift to Pumpkin Lattes, and pretty soon, a warm drink (or a heated driveway) might be your antidote for winter weather. You may have heard of a heated driveway, but may consider it a luxury rivaling that $4.00 coffee drink your favorite barista serves up. What you may not realize—the benefits of electric radiant heated driveways far outweigh their modest installation costs. But to understand just how much you’ll save, you’ll need a basic understanding of how a radiant heated driveway works. Radiant heat is an incredibly efficient method for melting snow and ice from driveways and walkways, and is becoming increasingly popular as a practical home improvement solution. There are two types of systems: electric and hydronic. Electric snowmelt systems use heat cable while hydronic systems generate hot water, then pump it through plastic PEX tubing. In either case, the heating elements are installed under the surface of the driveway, and radiate heat upwards to quickly melt snow and ice before it has a chance to stick. Every automated driveway snow melting system is composed of three main items: the heating element, the controller and the activation device. Sturdy resistance cable is the main heating element for an electric radiant heated driveway system and is sufficient (and practical) for most residential applications. It can be easily installed in almost any medium, under brick or stone pavers, newly poured concrete, or even hot asphalt. And Warmzone will design the system to best meet your snow melting requirements and budget. Heat the entire driveway or just heat two 24-inch tire tracks. Heated driveway systems can be easily customized to fit your needs. A wall-mounted control box is the command center for the automated electric radiant heated driveway. It communicates with aerial or pavement-mounted snow switch that activates the system when it detects precipitation and the temperature reaches a set point (usually set at 38-39° Fahrenheit). Because it’s fully automated, there’s no switch to flip, or surfing the net for changing weather conditions. And if you want to get a jump on the weather, most systems include a manual timer for preheating areas before a large storm or melting a snow drift or ice that found its way to your driveway well after the storm hit. Now that you understand just how an automated driveway snow melting system works, it’s easy to see the benefits. The initial purchase and installation of a heated driveway system more than pays for itself when you consider the fees associated with professional snow removal services. A radiant heated driveway operates for just pennies on the dollar, and is activated before one snowflake ever hits pavement. With a snow removal service, you’re facing much longer wait times, and years of seasonal fees that can be quite large. So perhaps you’re a roll-up-your-sleeves-and-start-shoveling or snow blowing type. Depending on how deep the snow is, you’re also facing minutes to hours of shoveling or pushing a gas-spewing, noisy snow blower around, plus the risk of serious injury, depending on your age and physical condition. Using salt and other harsh snow melting chemicals destroys the surrounding vegetation, but radiant heat eliminates the need (and cost) of chemicals. Heated driveways can save you money and time. Wouldn’t it be nice to spend the time saved inside with a newspaper and your favorite hot beverage watching the snowfall instead? The price of an electric radiant heated driveway, along with the ease of installation and low operational costs make it the perfect choice for a homeowner on a budget. But don’t just take my word for it. 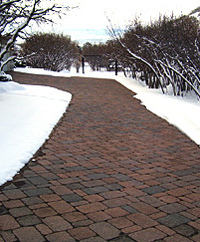 To learn more about radiant heated driveways, visit www.warmzone.com or call a sales representative to assist you find what best suits your snow melting needs at 888.488.9276.